 Welcome to Severn Runner Info! Where Severn Runners go to learn what we need to know. Say "Hi!" and let us know how we can pray for you. Let us know you're here! Catch up on the series, take notes, and get resources. So you're ready to get involved in a few more things at Severn Run? Start here! This is where you can find anything and everything happening at Severn Run! We have two easy ways to give right from your phone.